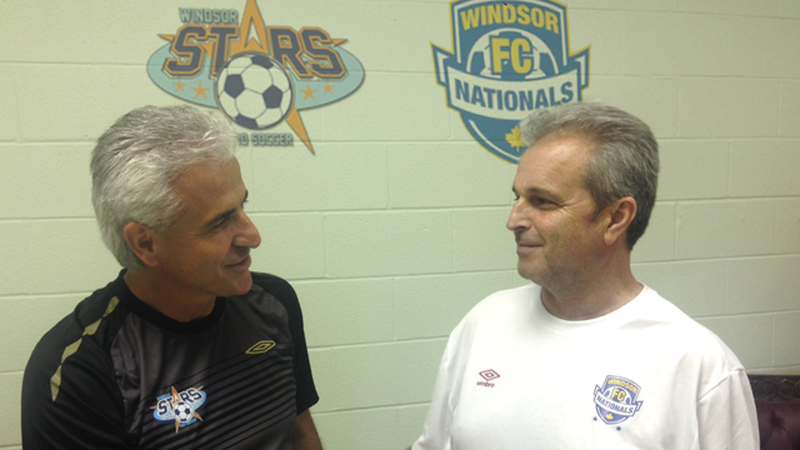 Seeking to tap into all soccer-related assets in their region, League1 Ontario licensee Windsor Stars have inked a number of player development deals of late. On the youth end, a partnership has been forged with local district club Windsor Nationals this past week, creating a welcome pathway for elite Windsor-region players from youth to professional levels in the province of Ontario. On a senior level, the Stars have found a fruitful meeting-of-the-minds with Detroit City FC of the American fourth-tier National Premier Soccer League (NPSL), signing a number of players as the NPSL regular season wrapped up at the end of July. As elite players begin to leave for college, university or full-professional trials, League1 clubs alike are recognizing the need to manage rosters in order to maintain a focus on continuing success in League1. Stars have elected to follow a two-prong approach, with equal importance placed on youth and senior prospects. Windsor Nationals have long been established as the regional, or district, club in the Windsor region – a hub for talented youth to be channelled into as they exceed the levels on offer at a community level. Cirovski points to a high standard of coaching, and a sound sense for youth development standards, as merits within the Nationals organization. As the structure of Ontario soccer changes, and the opportunities are different, relationships between clubs at semi-professional and senior amateur levels are increasingly important. A final piece of the puzzle for Stars is a growing bridge between their club and Detroit City FC.